As a business grows, it becomes more challenging to manage the workload versus workforce and conduct regular equipment maintenance. A small business usually has less than twenty staff members and ten machines to operate, making it easy to manage everyone and everything with only a couple managers. Once workload increases, which is mainly due to an increase in the demand of a company’s products or services, such a business will require more staff members and probably as many pieces of equipment to run adequate production. Business growth is a positive change in both business and personal finances. That being said, it is essential to implement measures that will maintain consistent business growth, and these may include social media strategies, among others. 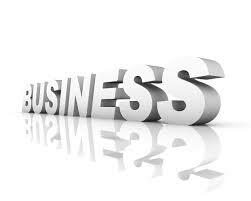 Most of the time, when a business grows to another level, the owners choose to take a closer look at the operations. The essential tools to make sure everyone is on the same page include governance, risk management, and compliance (GRC). Having a strong GRC team can help you maintain day to day operations while you grow. A rebrand of the company may be a good move to increase its clientele. But, this is a significant risk. Any decision made from the minute a business starts proliferating becomes high risk. Why? Because if your client number is increasing, it means there is something your company is doing that is attracting them your way. If you decide to change a feature, you run a risk of losing them or the chance of gaining more. Risk management is, therefore, required. After building a competent team and carefully adding qualified staff members to hasten production of services, you will start working on new ideas that will maintain your brand’s current honorable reputation. With every change to your business, the impact can be widespread. With the help of all team members, try to analyze the market, your current clientele, and industry competitors. Soon you’ll be able to see what is the best way to move forward. The success of a company starts from the leaders running it, and these are its directors, managers, CEO, and board members. A massively growing business needs new staff members and promotions. When it comes to adding leaders to management positions, it is essential to keep it diverse. Don’t just have only men, women, youths, or older members as managers. Mix it up to include new applicants and not just those who’ve been working there. Diversity is important because different people bring varying ideas for corporate improvement. As long as board members are competent, it becomes a definite challenge to each other. Do not hesitate to demote those who are incompetent. This is usually the moment when you consider the health of the business compared to impressing others, which should never be the case. A growing business also requires newly made policies and regulations that cover the new company size. The implementation of these new laws has to be done carefully and effectively. As you include new machinery to handle the workload with efficiency and in haste, you will need to train your staff on how to use the equipment. If you use heavy machinery or equipment, it would be a great idea to make sure your entire staff completes the OSHA 10 hour training online. Also, staff members will need training in customer service, teamwork, and more that can also build their confidence and working skills. Design ways of implementing the laws and running training without interfering with daily business. Build your workforce team and utilize it to maintain or further grow your business to become a member of the Fortune 500. The team behind your business’ daily operations is the best way to maintain consistent high sales. If the team is not reliable or competent, there is a low chance of remaining successful through your business life.